Will Adam be able to withstand subsonic frequencies, or will adult diapers be his only hope with the Brown Note? Is a constant drip of water falling on your head really unbearable torture? Adam and Jamie go head to head in a madcap Mexican jailbreak as they taste-test the theory of the Salsa Escape. Can you use dynamite to remove cement build-up from a mixer's barrel? Can a person receive third-degree burns if he or she lights a cigarette inside a port-a-potty? Will a broken drive shaft on the front joint of a car vault cause a car to pole vault after it hits a pothole? Can a yawn, like a cold, truly be caught? Does toast really fall buttered-side down? Could a toy car beat a real car (in this case, a Dodge Viper) in a gravity slope race? The MythBusters use ice, water, refrigerators, freezers and fire to test the fastest way to cool a six-pack. Then the team builds a new crash-test dummy ... and drops it 60 feet from a crane. Did a bullet shot through a Civil War soldier's groin really impregnate a woman nearby? Is it dangerous to use the telephone or shower during a thunderstorm? Can a singer break glass with just his or her voice? Is it possible to build an explosive jet engine out of vacuum-cleaner parts? Does a rolling stone truly gather no moss? Adam and Jamie create their own personal flying machine from scratch. Is the ancient secret to mummification ... the shape of the pyramid? Is talking on your cell phone while driving more dangerous than driving drunk? The MythBusters test the efficacy of that familiar brace position that airlines outline in their safety procedures. How deep must you dive to survive a gunshot? If you push hard enough, can you get a swing to go all the way around the swing-set bar? Could a real shark be as strong as Spielberg's Jaws? Will punching a shark save your skin? Will a bullet blow a scuba tank sky high? Can illegal immigrants fire themselves 200 yards across the border and into the United States with a slingshot so accurate that it can land the human projectiles safely on a carefully placed mattress? In a car crash, could the tissues kept on the rear shelf of your car be propelled forward with enough force to crush your skull? Could an airline's emergency life raft be used as a parachute? Is it possible for oxygen, an electrical spark and hair cream to result in a deadly cocktail? Can a human survive a terminal velocity fall? Adam and Jamie take their detractors head on as they revisit some of their favorite myths. They're going to answer them once and for all and forever silence their critics! Is an ancient Chinese text alluding to a subterranean sonar system that could apparently detect and intercept an invasion from below true? Is the five-second rule for food really safe to eat? The American Civil War was fought with bayonets, muskets and cannons. But was that all? Not according to the MythBusters. Can a pair of trucks in a high-speed, head-on collision be fused together sealing the drivers between them? Also, Kari hosts some urban legends about Russia's national drink, vodka. Are steel-toed boots more dangerous than the regular variety? Did an Aussie worker's boots really turn into toe cutters after a heavy weight fell on them? 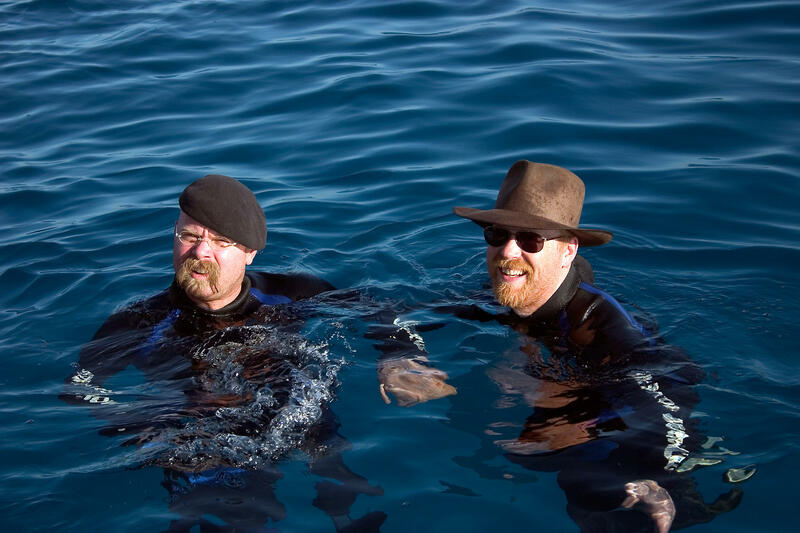 From electric shock therapy to homeopathic tongue tinglers, can the MythBusters find a cure to seasickness? Does driving with your pickup's tailgate down save gas and, hence, money? In 2005, Kari, Scottie and Tory set out to see if yawning is contagious.